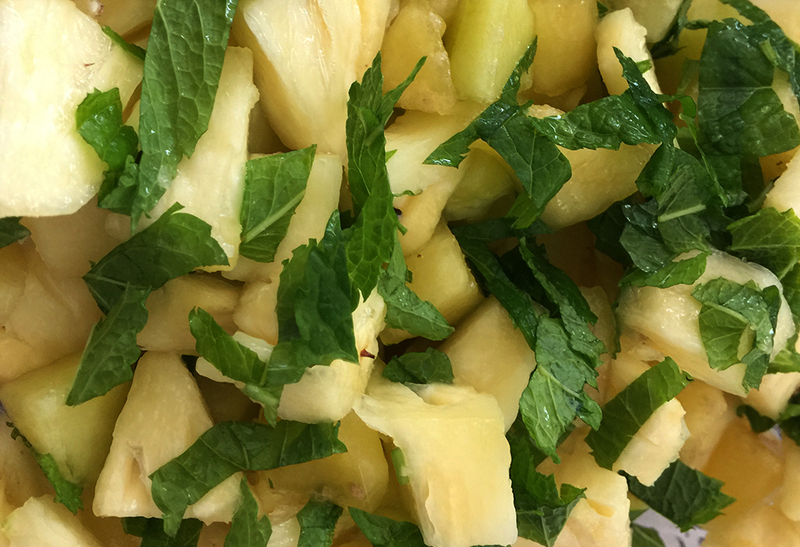 A fresh ripe Pepino – Solanum muricatum – tastes pretty good by itself but even better when combined in various ways with other items like Fresh Pineapple and mint. 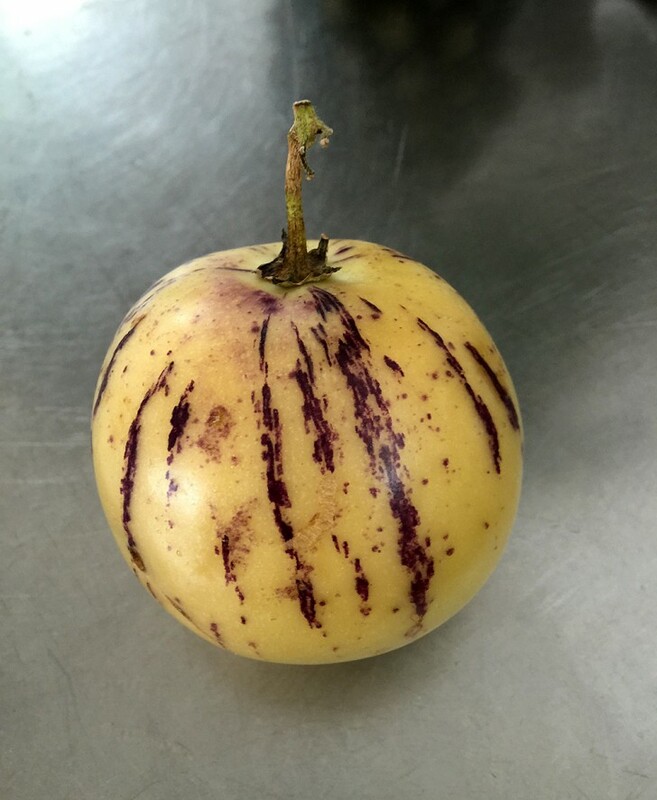 The flavour can change quite a bit as the pepino ripens. Initially when unripe and firmer they are more like a cucumber and can be used to directly replace them. As they ripen they get softer and start to take on a more melon dominant flavour and end up a lot like a green fleshed honey dew melon or almost to a musk melon when fully ripened. Here’s a quick way to make a really nice quick salad with a vietnamese style dipping sauce dressing. The salty and acidic taste of the dressing really significantly enhances the pepino’s ‘melon’ flavouring when the Pepino is at a mid ripened state. The chilli helps a lot too. These amounts are just indicative and you can alter them to taste once you have tried the basic form. 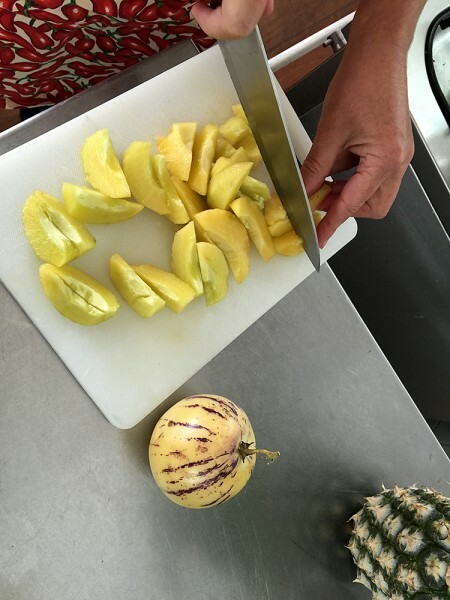 Take a good sized Pepino (or several small ones) and slice into little sections. Generally you cut the skin off as they tend to get quite tough as they get older and ripen up. They turn a slight yellow colour as they ripen both on the skin and inside in the flesh. 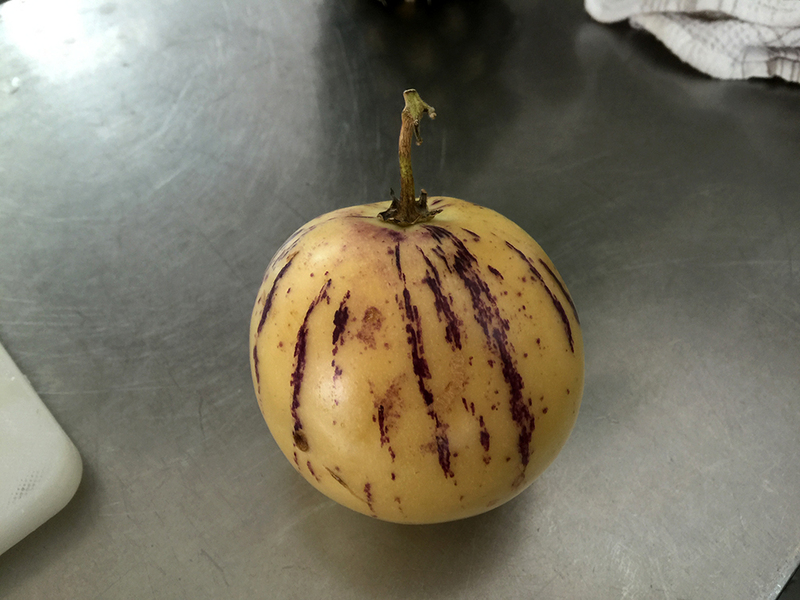 Also they darker the purple stripes get as they ripen – if you have a variety with pronounced stripes. Cut the pineapple into matching sized sections. You just want a matching 1-1 ratio. Add a handful of cut mint. Mix and put in serving bowl. 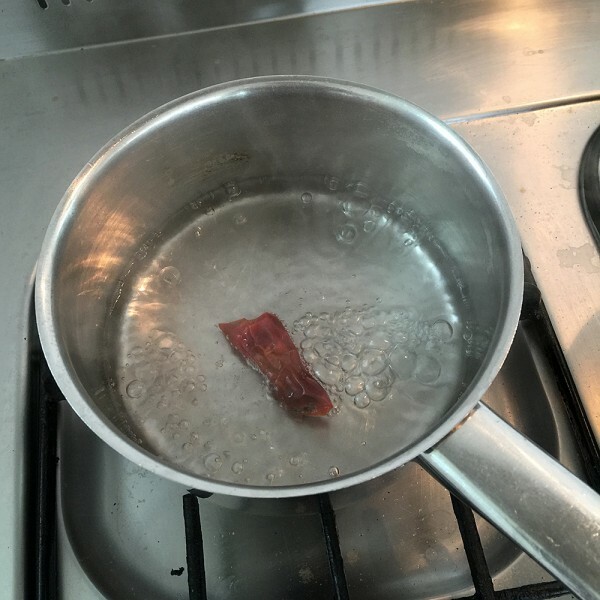 Put the White vinegar and sugar into a small saucepan with the chilli ( cut into sections or sliced) and heat and stir till the sugar is all melted. 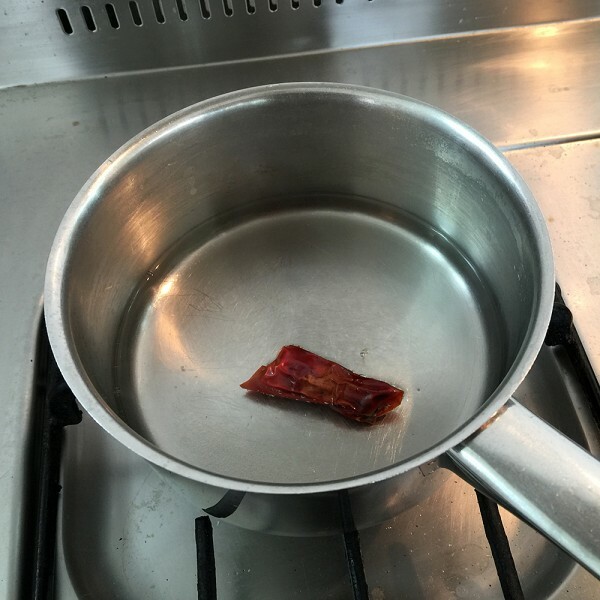 Do NOT put your head over the pan and smell it while the heat is on as it will test your nasal capacities severely and if it;s a hot chilli will burn like crazy. When the sugar has melted into the liquid take it off the heat and when it’s cooled a little – splash some lime juice and fish sauce into it to taste and place into a serving dish or a small sauce jug. Serve and splash the dressing onto the salad. Using a slice of a very large hot Thai Variety of Chilli here – good heat even with only a section. Takes about 2-3 mins at most.